MIAMI ( September 04, 2018 ) —Do you know an amazing woman leader, activist, or hero? She may be someone who inspires and motivates. 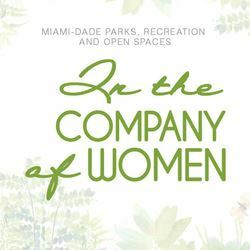 From now through October 12, consider nominating her for the 31st Annual In the Company of Women Awards, recognizing the achievements of exceptional Miami-Dade women leaders who have shaped the community. Click here for the nomination form. Nominations with supporting entry materials may be submitted digitally online, or a hard copy format mailed to: Laura Morilla, Executive Director, Miami-Dade County Commission for Women, 111 NW 1st Street, Suite 1034, Miami, FL, 33128, and must be postmarked no later than October 12. Email entries will not be accepted. Nominations that fail to meet the stated deadline or criteria, will be automatically disqualified. Award winners from previous years, are not eligible. Details can be found on the In the Company of Women web page. For additional information, contact Laura Morilla at 305-375-4967, or Vivian Greer-Digon at 305-480-1717.